With both developing and developed countries focusing on space missions and looking forward to enhance their communication technologies, the demand for satellite manufacturing is increasing with every passing day. The installation of satellite technology is intense in many countries as they witness high demand for advanced digital streaming of contents. The fueling demand for commercial satellites along with military satellites is likely to play a key role in the growth of the global satellite manufacturing market. The advent of wireless connectivity has triggered the demand for satellites in a large amounts. To meet the needs arising from different sectors, satellite manufacturers are focusing on expanding their manufacturing facilities. The rising employment satellites in warfare situations and life-threatening weather conditions has led to its rising use in border protection and maritime surveillance. This has further resulted in the advent of innovative and advanced image-enhancing devices such as high resolution cameras and remote-sensing technology for improving the quality of the earth observation pictures that are satellite based. Satellite launches are mainly achieved employing launch vehicles that can be only used once and carry a freight to the orbit. However, the producers are developing space launch vehicles that are reusable instead of the regular expendable launch systems. These new systems can be reused and helps in minimizing costs as well related to satellite manufacturing. Collaborations and development of novel technologies are the core ideas of manufacturers to attain a firm position in the market in the years ahead. The report presents insights into the various factors chalking success for enterprises operating in the global satellite manufacturing market. Besides this, it also lists the various restraints that will pose challenge to the market players. Compiled with the intent of helping readers gain a holistic perspective about the market, the report includes exhaustive information obtained via trusted and industry-leading research methodologies. Several factors are aiding the expansion of the global satellite manufacturing market, the primary driver being the rising demand and application of commercial satellites. 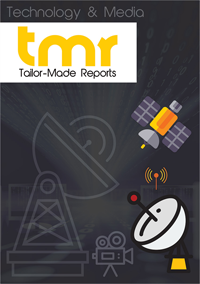 The increasing penetration worldwide, coupled with the exceptionally rising number of wireless connectivity uses and users, is further supporting growth of the global satellite manufacturing market. Other major driver of the market is the rising demand from defense sector. Despite witnessing exponential growth, the global satellite manufacturing market is mired by several challenges. For instance, leading market players are struggling with the decreasing government investment. The economic slowdown witnessed across major economies around the world also had an adverse impact on the market. Another big challenge that is inevitable to create bottleneck is the need to impose space debris as per regulations. Nevertheless, experts foretell that the global satellite manufacturing market is likely to witness robust growth in the forthcoming years. For instance, the increasing demand for high power and HTS due to the expanding internet connectivity will create significant opportunities for the market’s growth. Among the regions exhibiting the most lucrative opportunities, the Americas will enjoy dominance in the market as per recent researches. As major markets such as Canada, Brazil, Mexico, and the U.S. are domiciled in the region, which also boasts sophisticated infrastructure and high participation in space programs, the leading companies will focus more on capitalizing on opportunities existing therein. In addition, SpaceX and National Aeronautics and Space Administration (NASA), which hold credit of major innovations in the satellite manufacturing market are located in the U.S. This explains the dominance of the Americas in the global market. However, in the forthcoming years, the market is also expected to witness rising opportunities in Europe and across the emerging economies of Asia Pacific. The global satellite manufacturing market has significantly benefited from business strategies adopted by the leading companies such as APCO Technologies SA., Boeing, Lockheed Martin Corp., Indian Space Research Organization, Orbital Sciences Corp., and Thales Group. In order to gauge the competition prevailing in the global satellite manufacturing market, the report therefore profiles some of the leading companies operating therein. In this section, it covers information pertaining to the company’s financial report, product portfolio, recent mergers and acquisitions, and business strategies that prove to be most successful. SWOT analysis is also conducted on the companies profiled to study their strengths and weaknesses. The analysis also helps in the determination of potential threats and opportunities that these companies are likely to witness over the course report’s forecast period.